Tempeh Ragi Starter Spores - PTS - Making Tempeh at Home ! We now offer 15gr, so you get now get 3 free grams at the same low price! 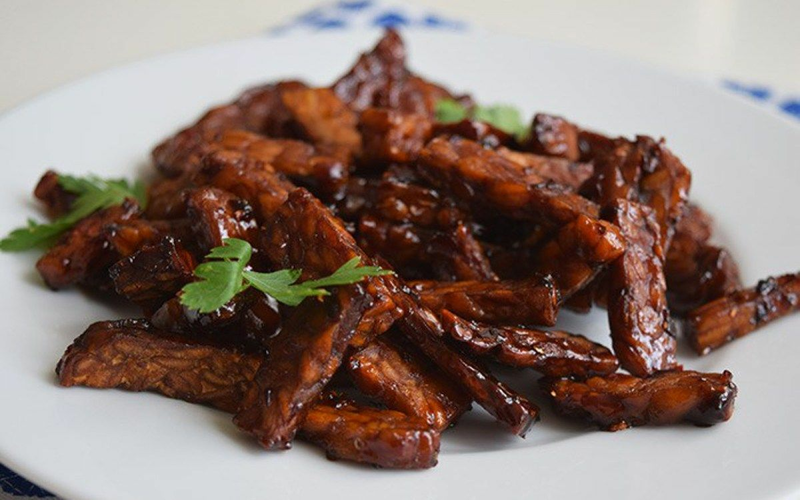 Buy Tempeh Starter to make traditional Indonesian soy cakes and other fermented foods. Fermenting cooked soybeans with a tempeh starter culture. 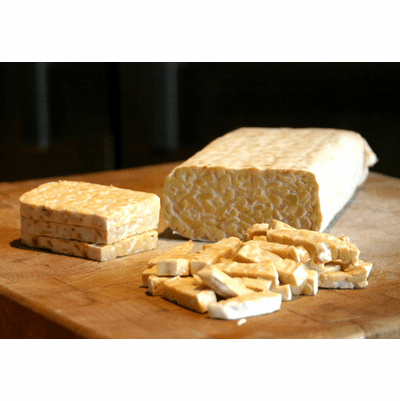 Traditional tempeh is a soybean cake that has a natural rich smoky flavor & aroma, with a firm nutty texture. 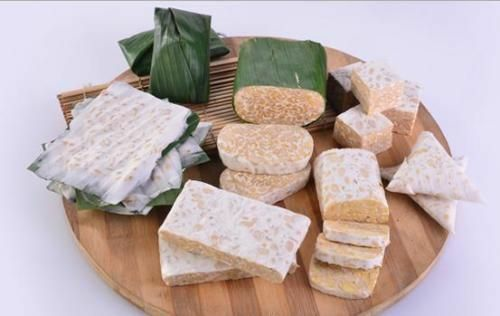 Tempeh or TPS is one of the Indonesian traditional foods full of protein made by fermenting soybeans with the Rhizopus culture mold spores. It is high in nutritional value, providing nutrients such as Protein, Riboflavin, Magnesium, Phosphorus, Copper, and Manganese. It is also low in Cholesterol and Sodium. If you live in Indonesia, you can buy tempeh starter easily. In the USA, buying the starter spores can be a bit difficult; however, to make tempeh is not too hard. into an easy to consume the product. Tempeh Starter spores (Ragi Tempe) are grown on a pure vegetable nutrient (rice). Use the cooked TPS cakes as a replacement for meat in many recipes from tacos, hamburgers, and our favorite...the grilled Tempeh Reuben with raw sauerkraut! under our Making Tempeh Instruction section. Note: About the 2012 recall of tempeh starter/PTS... Our Tempeh starter spores are not from the USA based source of the outbreaks and are safe and free of human pathogens. Makes up to 30+ lbs of finished tempeh. We test each batch of spores we get to make sure they are viable and ready to produce high quality tempeh. 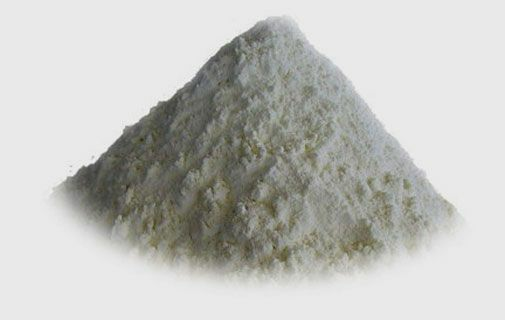 Two grams of starter for 1kg of soybeans. Makes up to 250kg or 500+ lbs of finished tempeh. 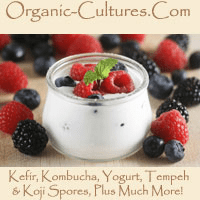 Buy tempeh spores and start making great PTS at home. Buy 2 or more and get a 10% discount...order today!